This villa has a great location right by the beach, and if you’re lucky you can see turtles just beyond the bay! The views from the balcony are stunning, and the layout can’t be beat. You can easily keep an eye on your kids without sacrificing privacy, and there’s security guards 24/7 so you can relax in tranquility. 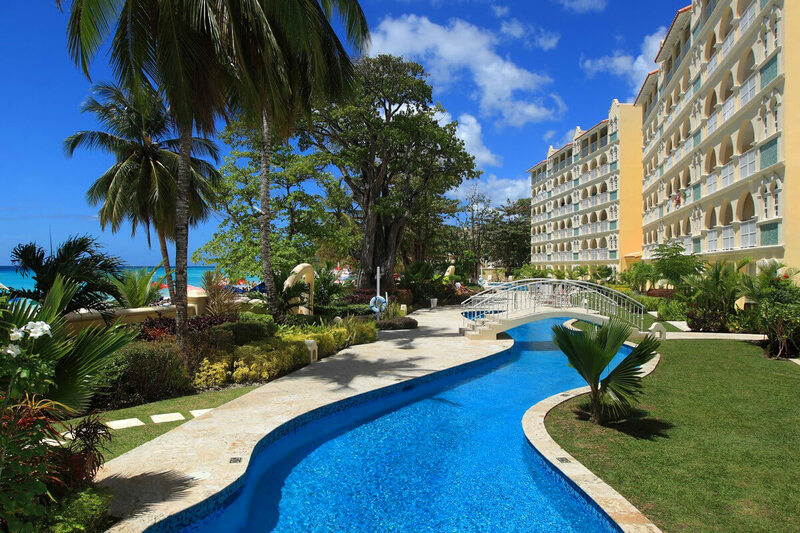 Sapphire Beach #317 is part of a beachfront complex on Dover Beach. This villa is on the third floor, fully air-conditioned, and decorated with a Caribbean flair. The villa’s balcony overlooks the beach and the sea through a series of archways. Ceiling fans cool the lounging and dining space, and sliding glass doors lead into the living room. Guests can relax into the living room’s plush couches and watch movies on the flatscreen TV. The living room blends with the kitchen, which is equipped with stainless steel appliances, coffeemaker, electric kettle, and a breakfast bar. Sapphire Beach #317 has three bedrooms, and two have ensuite bathrooms with walk-in showers. The master bedroom has a king bed, a TV, and opens to the balcony. The second bedroom also has a king bed, and the third bedroom has two twins. The third bedroom has access to an adjacent hall bathroom with a shower/tub. The villa also has a washing machine and WiFi throughout. Sapphire Beach #317 is within walking distance to the complex’s fitness center, two pools, and beach. There’s elevator and stair access, private parking, and housekeeping twice a week. There’s 24/7 security and water sports on request.